NewsThe News articles are written and reviewed by SNU student editors and faculty members. 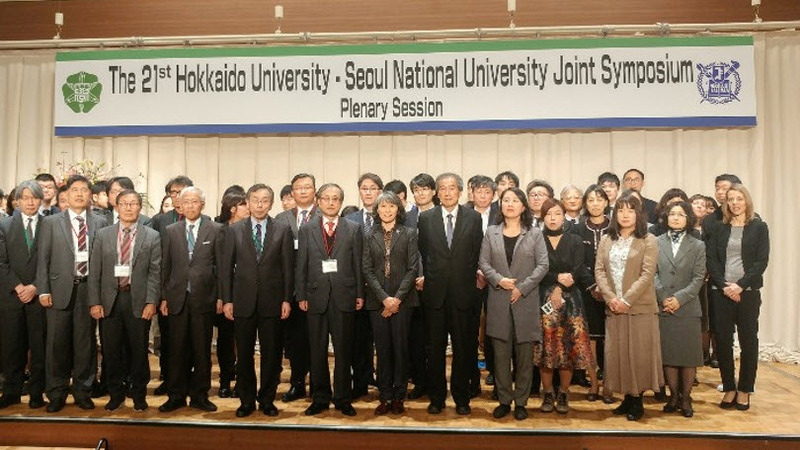 This year, the SNU-Hokkaido University Joint Symposium was split into 10 sub-sessions: sociology, mathematical science, earth and environment science, materials science and engineering, education research, environmental and health sciences, medicine, ophthalmology, odontology, and convergence technology. Director of the SNU Central Library Suh Yi-Jong (Department of Sociology) and Professor Chung Young-Mok (College of Fine Arts) gave keynote speeches for the Library and the SNU Museum of Art, respectively. Prior to the symposium, President Park met with President Toyoharu Nawa of Hokkaido University in Sapporo, Japan to discuss future collaboration activities as well as relevant issues such as internationalization. Dean of the Office of International Affairs Koo Min Gyo (Graduate School of Public Administration) and Dean of the Office of Student Affairs Changhoo Chun (Department of Plant Science) also participated in the discussion.